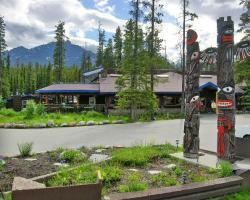 Tired of Playing in the Canadian Rockies in Banff National Park? How About Under? 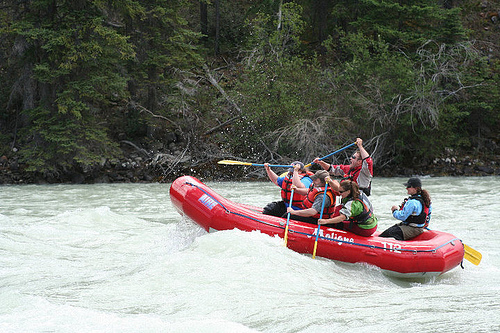 Okay, maybe you’ve gone skiing, snowboarding, snowshoeing, mountain biking, whitewater rafting, hiking, backpacking, canoeing, fishing, photographing wildlife – even scuba diving in Banff National Park. You’re thinking “I’ve done it all.” But what about spelunking? 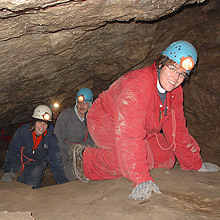 While there is no end of activities to do above ground in the Canadian Rockies, there are things to do below ground as well, such as caving. 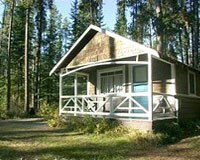 Both the Canadian Rockies and the Columbia Mountains, which span the border between British Columbia and Alberta – the Great Divide – are home to many caverns, from Crows Nest Pass in the south to the Prince George area in the north. The same geological activity that formed these mountains also formed its caves. In what is now Banff National Park, during the Pleistocene era 1.6 million years ago, melting glaciers carved the limestone rock in the Bow Valley to create Rats Nest Cave: a 4-kilometer long cave system. These glacial waters left behind deposits, pools of sparkling clear water and glistening calcite formations, and exposed animal and plant fossils — all for you to discover on a guided cave tour. Tours are physically challenging but no experience is necessary. Participants should be reasonably fit, i.e. 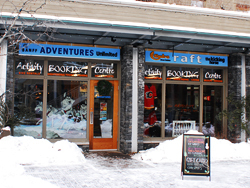 those who hike, bike, raft, snowshoe or ski will enjoy this adventure. Tours go all year, rain, snow, or shine — it doesn’t rain or snow underground, you know. It is typically cool underground, though, so those going spelunking (that would be the technical term for caving, or cave exploration) should bring warm (but not bulky) clothes and light hiking boots. 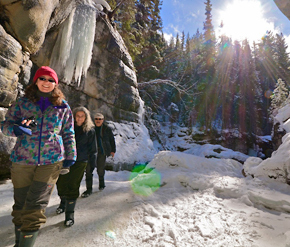 We recommend Banff Travel for your guided tour of Rats Nest Cave underneath Grotto Mountain. You can take the tour with our without rappelling/abseiling down into the cave. If you opt for the rappel/abseil option, plan on six hours; if you want to skip the rappel, plan on 4.5 hours to explore the Rats Nest.